Continuing with the Deceptions in The Food Industry series, today we’re talking about salt. Has your doctor advised you to lower your salt intake for your health? If so, there are a few things you ought to know about processed food products sold in stores, some of which claim to be healthier because the label reads “low-sodium” or “no salt added”. The first thing to know is that most processed foods *do* contain abnormally high levels of sodium. This is mostly to make otherwise unpalatable food taste appealing. Due to processing, refined salt contains little else besides sodium chloride, and to add flavor to foods, more of this chemical must be added. The type of salt used in processed foods is the highly-refined variety comprised of sodium chloride and devoid of important trace minerals. When you eat processed foods containing this kind of sodium, you are adding a deadly poison to your body that it then attempts to protect the tissues from by retaining water (edema). This causes weight gain, pain, fatigue, and other health issues. Why is salt refined? Marketing through the food industry and the health industry has convinced consumers there is no difference in nutritional value between refined table salt and sea salt, and that the consumer will be more likely to purchase it because it appears “cleaner” and less “impure”. Another reason is that unrefined table salt tends to clump when exposed to moisture, suppliers and merchants lose money when products on the shelves become un-sellable. How can a low-salt diet be harmful? Studies of low-salt diets have found reducing intake was linked to various health problems including a precursor to diabetes, insulin-resistance, heart disease, and premature death. We actually do need salt for all aspects of human health, contrary to popular health recommendations. Without it, we would die. Salt contains essential minerals that help us to maintain normal blood pressure, support our adrenal glands, endocrine, and immune system. Salt also plays a vital role in maintaining the integrity of fluid between our cells (often called “extracellular fluid”). Minerals in salt help maintain the integrity of our cells. Those minerals must remain in balance to allow the absorption of nutrient and excretion of waste within the cell membranes. If we are deficient, cell permeability is lowered and the health of all the cells is compromised. 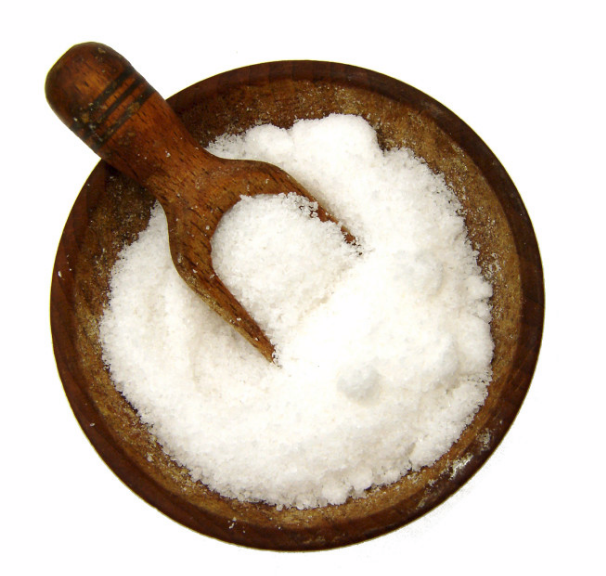 Salt plays an important role in maintaining the cells blood and lymphatic fluid in our bodies. It is also necessary for our bodies to produce hydrochloric acid for digestion. Sodium works with potassium to maintain proper nerve function and contraction of muscles (as one example, the heart, which is the hardest – working muscle). Salt is necessary to maintain several kinds of equilibrium – electrolyte balance, and pH (acid/alkaline) balance, without which can cause many different health issues. Unrefined sea salt, celtic sea salt, Himalayan Salts and other similar salts which contain dozens of trace minerals are essential to health and are preferable to refined, highly processed, white salt that mainly consists of sodium chloride, anti-caking agents, and other undesirable ingredients. One harmful ingredient added to refined salt is aluminum. Aluminum acts as a drying agent to prevent clumping in the salt. Added aluminum and the absence of essential trace minerals is a deficit to your health. Aluminum is considered a toxic metal and has been linked by researchers to dementia-causing conditions such as Alzheimer’s disease. Did you miss other Deceptions in the Food Industry posts?